The candid wedding Photographer was not been able to get much wedding assignments due to an increase in the package rates he did last season, and he is now desperate to make it up. 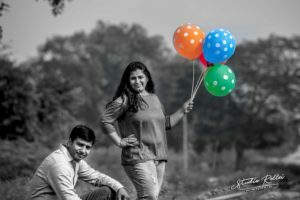 low cost wedding Photographer is a Freelance Professional and hence he could save Business Set-up cost and pass on the benefit to the clients. Photographers are not fully professional wedding photographers, maybe they will shoot well but they won’t come to your event on time and possibly not deliver the images in time. Basically they deal client with unprofessional attitude, and their only USP is low-price. These wedding photographers are basically illiterate about the ‘Art of Photography’ and neither knows the ABCD of Candid wedding photography. Their client are of lower middle class and lower than that. They will use Amateur Equipments and produce below-average quality Photos. This wedding Photographer is novice. wants to make a career in Photography without any proper education or knowledge. She thinks only building client base is key to success. He is ‘That Famous Facebook Guy‘ , he books 8-12 weddings in a single day, appoints amateur starving college kids with DSLRs to weddings. Remember, even 2-3 bad photographer cant do work silimar to a good wedding photographer. You will get in quantity not quality. He is a Fraud!. He is not at all a wedding Photographer. this type of photographer will dissapear with your money, and never turn up. This is the worst that could happen to you. Time and again, various scams and cheat-organizations has been revealed and each one took the road to easy money, or cheap products. Please try to understand, if it is genuinely costlier at other places, it has little reason to be cheap and similar. Relax, do proper cross verification and ask for a more detailed wedding portfolio to review. You will less likely to make mistakes if exercised caution. As the saying goes “Art is Auctioned not Bargained”.